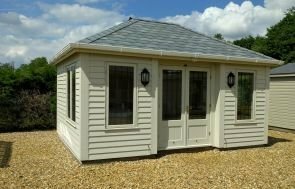 This attractive Garden Room with Veranda has been installed in our customer’s garden in Lewes, East Sussex for an elderly relative to use as a peaceful, comfortable garden retreat. 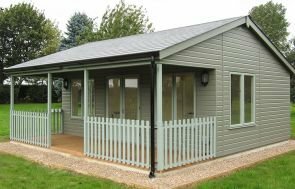 At 4.2 x 3.6m in size, this timber building will be big enough inside for the customer to decorate and furnish to her tastes, with a comfortable chair or two, a bookcase, and other homely touches to create a relaxing atmosphere for them to enjoy. Georgian windows, weatherboard cladding, cedar shingle roofing tiles, and the two-tone paint colour scheme (Lizard and Twine from our Valtti paint range) all create a traditional, country style to the building that both suits the style of the house, and the tastes of the customer. The addition of a veranda to this apex roof Garden Room will allow the customer to utilise the outside space as well, whether that is just for decoration with a plant pot, or to enjoy the outside with a chair to use on warm days. For all this building’s outward attractions, the inside is equally as impressive, with full insulation, painted matchboard lining, double glazed windows, a Natural lacquer on the floor, and an electric pack with a heater, making it perfectly suited to use all through the year. The final touches for a truly homely feel include the picket fence around the veranda, polished brass door and window furniture, white guttering, and external lights. 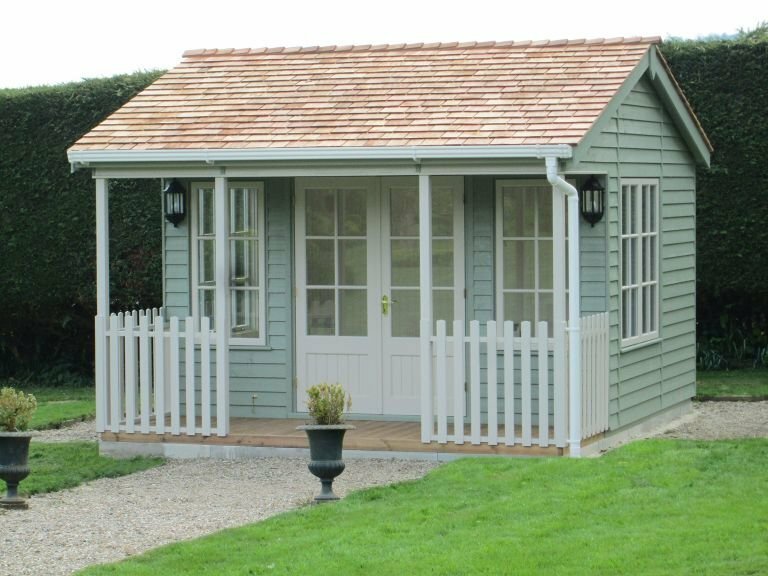 For more information about our beautiful Garden Rooms, please call us on 01760 444229, or please visit one of our Show Centres across the country to see these wonderful buildings for yourself.